Baseball returned last night after its annual All-Star break. And I returned to baseball this morning, after all that World Cup madness squeezed it out for a month or so. Baseball, perhaps more than any other sport, marks the passing of time particularly strongly, from the hope of Spring Training to the play-offs marking a year near its end. The All-Star break symbolically marks the season at its halfway mark, and there is something rather sad about that. Is summer already on its way out – even though it is only July? Are we really so close to those cold days with no sun and no baseball?Well, I won’t let myself get melancholy, or melodramatic, just yet. There is still a lot of summer to enjoy, and a lot of baseball to be consumed, starting with last night’s Mets/Giants game. I managed to sneak in a couple of innings ‘watching time’ first thing this morning, and then settled into a day’s work with the archived WFAN radio broadcast. This was an opportunity to properly get back into the baseball, and also to make the most of a great game with my two favourite pitchers. So, here you have a completely unpredictable pitch – even the pitcher can’t be sure what will happen. Also, much like a spinner in cricket, a knuckleballer can pitch all day. 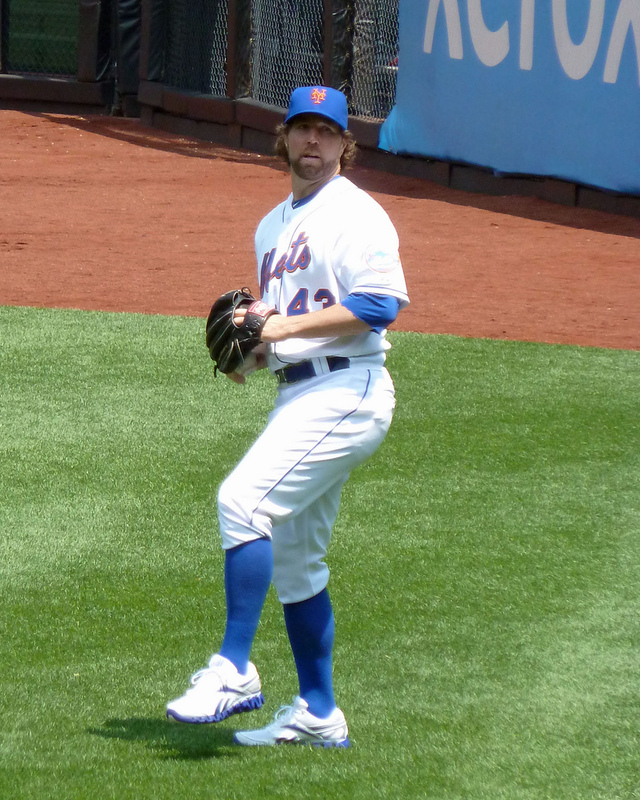 But what makes Dickey stand out? As befits a knuckleballer, he is something of an unusual character. He comes across as being far more intelligent and well-read than your usual sportsman. He has gone from being a journeyman to a fixture in the Mets rotation in a matter of months. He has no ulnar collateral ligament in his pitching arm, which should cause him incredible pain, but somehow doesn’t. Here is someone, who against all odds, has reached the top of his profession. 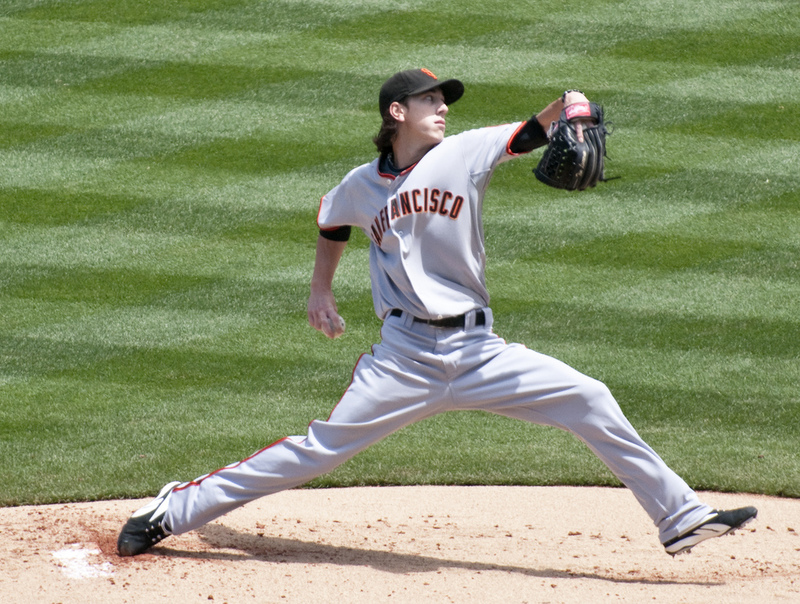 Tim Lincecum, in contrast, is far from a grizzled veteran. Here is someone who made their name in MLB at an incredibly young age, and has tasted success early too. At just 26 he has been one of the best pitchers in baseball for a good couple of years now. He is also far removed from the dull sportsman stereotype. He wears his hair long and has a cool and relaxed demeanour that is rare in sport. He genuinely looks like he is having fun out there. Here is someone who not only excels, but looks like he would be good company for sharing a beer with. He is human in life, yet superhuman in play. The game didn’t go my way, the Mets losing 2-0. But it was still a great game with two of the true characters of the sport up against one another. The game, and my morning, flew by. After the frenzy and hype of the World Cup, there is a lot to be said for the calm rhythms of an everyday ballgame. Interesting, isn’t it? That you see the end of the game when you wake up, and I only get to see the beginning because I have to go to sleep. Back in 2000, the Mets and Cubs opened the season in Japan, and it was nighttime there, but I had the game on TV while I got dressed for work. This is where Detroit fans see the “Leyland” effect come into full force, right after the All-Star break. Frustrating! Julie – it is quite disorientating watching or listening to games the following day. It also means I have to be careful which sites I visit for fear of finding out the score! At least there are afternoon games, which are evening-time here in the UK. They are great, when I have the time to watch them! Nathan – not a great return from the All-Star break for the Tigers, eh? Although, I suspect things will pick up soon. I mean, they have to, right? Julie it is quite disorientating waitnchg or listening to games the following day. It also means I have to be careful which sites I visit for fear of finding out the score! At least there are afternoon games, which are evening-time here in the UK. They are great, when I have the time to watch them!Nathan not a great return from the All-Star break for the Tigers, eh? Although, I suspect things will pick up soon. I mean, they have to, right?